Their antique thin brick veneer and flooring tiles are popular choices for kitchens, recreation rooms, living rooms, wine cellars, and fireplaces. Commercial recycled thin brick tile installations have included restaurants, pubs, casinos and theatres. 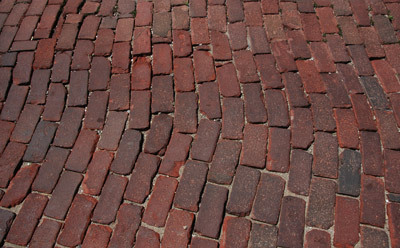 Use it anywhere you would like to install the beauty of a real antique brick surface, without having to hire a bricklayer to lay 4 pound, 4 inch thick bricks.